Wildfires in the Mountains of North Carolina have caused thick smoke and poor air quality over the Carolinas. A Code Red air quality alert is in effect until midnight for fine particulates from smoke. The poor air quality is also a concern for the fans and players of the Carolina Panthers Football game on NBC tonight. 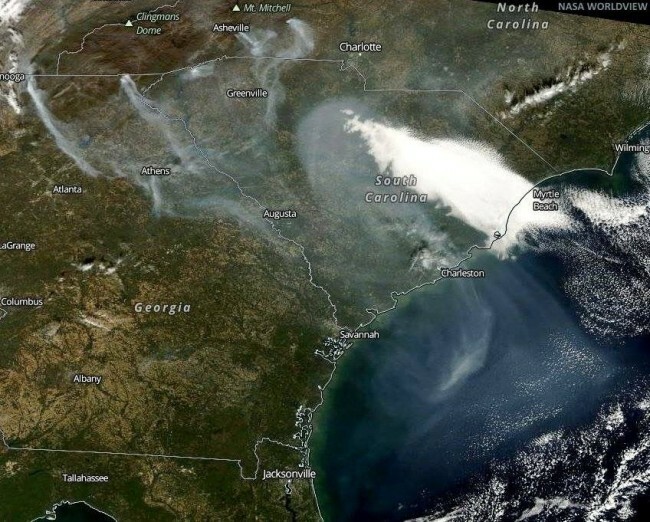 The smoke from the wildfires can been seen on this NASA satellite imagery. 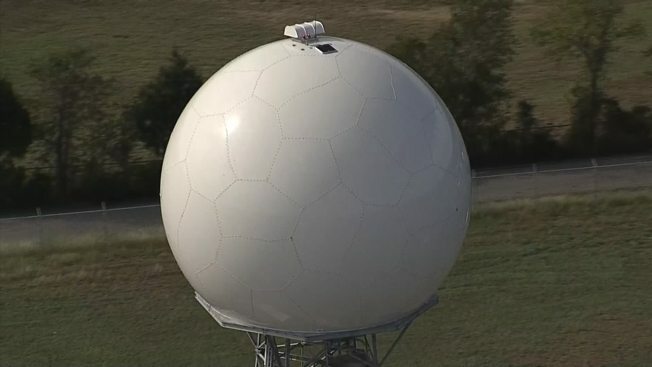 If these fires were in Texas we would be tracking them on our new S-Band Radar. Smoke can be seen on our S-Band Radar with dual-pol technology. In the doppler radar you are used to seeing, a vertical beam is sent out. The beam bounces off an object, such as rain, then is sent back to the radar. Dual-pol radars send out horizontal and vertical beams. The perpendicular beams bounce off an object, the radar then processes the information giving meteorologist the size and shape of the object. When meteorologist have more information, we can then determine if precipitation or non-precipitation objects are being detected by radar. The additional information put out by the dual-pol radar is called Correlation-Coefficient. The colors are a little different from traditional Doppler radar. Highly correlated objects are rain, hail and snow. Moderately correlated objects are weather events with mixed precipitation. When objects have a low correlation, they are typically non-meteorological, like smoke particles or tornado debris. 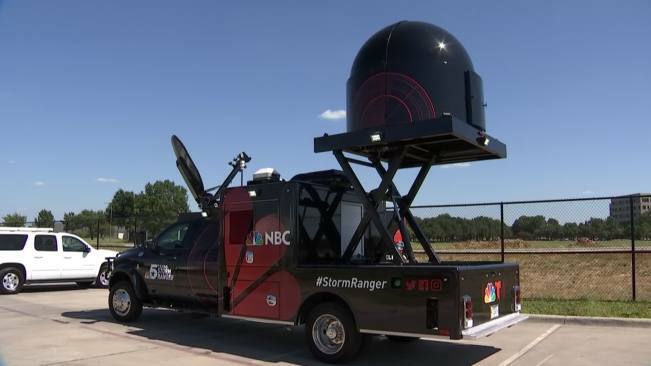 In addition to our S-Band radar, StormRanger also uses a dual-pol technology.